Well the end of January already. 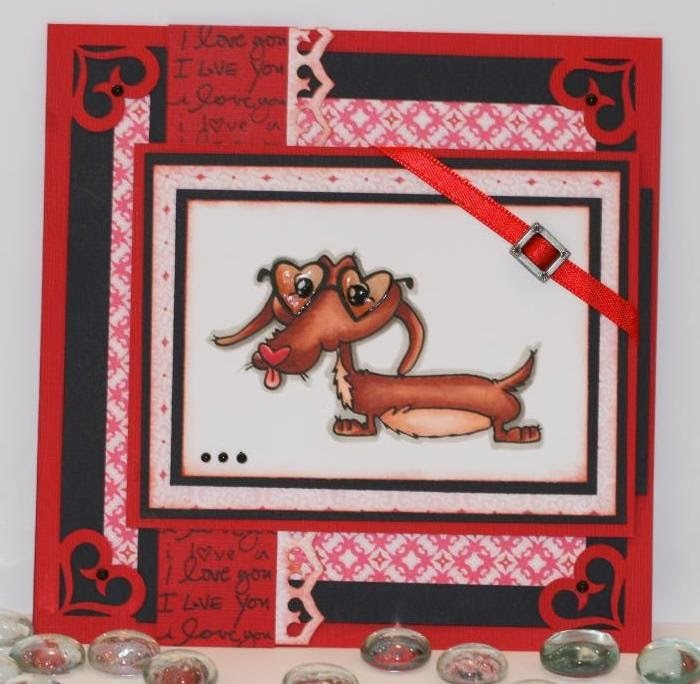 Valentines day is just around the corner, so I thought that I would get started on a few Valentines Day cards. 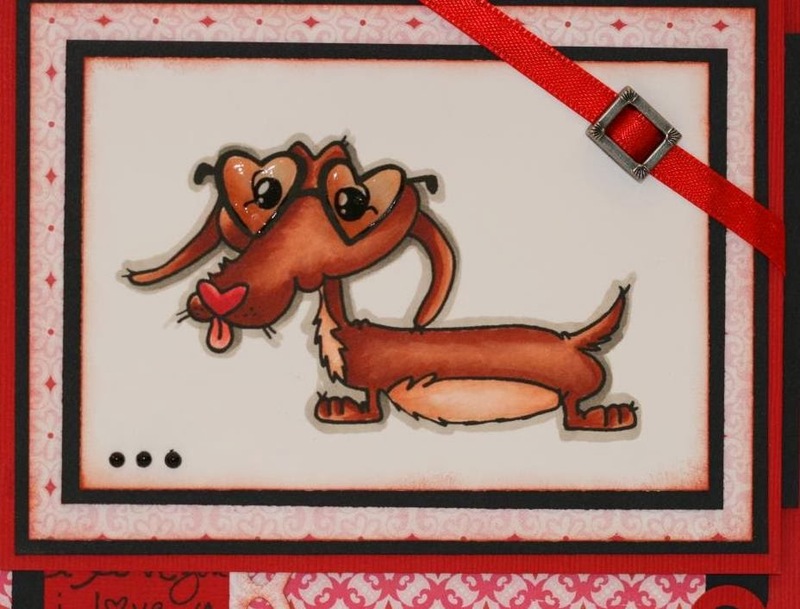 This being the first of more to come, I used a digital image from Whimsy Stamps designer Miss Rach called Heart Shaped Glasses. A super cute image that fits well into the valentines theme. I put glossy accents on the glasses to try to give it the look of actual glasses. It's hard to get a photo to actually justify the true way the card turned out. I took a couple pictures that will hopefully give the the effect I was trying to capture with my photo. A bit closer, you can see the shine on the glasses in this picture. So cute, made me laugh...nice glasses...awesome job. Nice touch with the hearts in the corners...way to go!